Nearly 30 years ago, my father had established the county of Arahn in the southern regions of the empire, with the Council as his liege. Now, I own that county and I am requesting it's partition. The county seemingly covers vast swaths of lands, all plains and the occasional forest or to. Although this areas is large, I would rather have it shortened by creating a new county, as shown in the map here. The red line indicates the cut off and the blue shows the new county's proposed borders. In the grand scheme of the empire, I would be expanding south west, into unclaimed territory. Naturally, the county would remain under me and I would remain under the Council of the Crowned. While there may be concerns relating to the growth of my current county, I assure the council that it has grown appropiately; with the construction of a mountain top fort, the expansion of the capital city, a dock, and several miscellaneous buildings within the initial region. 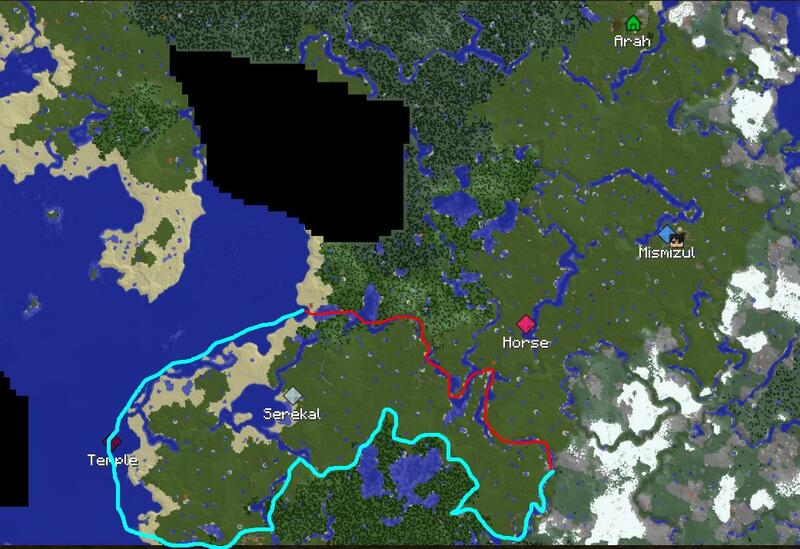 I have also began working on various sites around the region that serve as trade or military outposts. The new county would be called "Servikal"
Thank you for the consideration, to glory! Looks like a reasonable expansion to me! I look forward to seeing your progress. I approve of this request. Looks very reasonable! Can't remember if Dukes have a say in this but i foresee no negative conequences or disputes arising from this claim, please take it and make it your own! You have my support for this as well. Thank you for making this request!